Adam sees the newest Coen Brothers venture, The Ballad of Buster Scruggs, and finds the cinematic collection of short stories to be delightful. But when are the real Coen Brothers, the ones that make fully realized stories, coming back? What began as a TV series has turned into a cinematic entry for the Coen Brothers. To be honest, would you want it any other way? Having the Coens stay in film, even if it is Netflix, retains their cinematic purity in a way that feels right. What we’ve gotten in The Ballad of Buster Scruggs will delight the acolytes, infuriate non-fans, and confound general audiences. The film tells six individual stories that range from the bizarre to the lyrical, to the mysterious, to the heartbreaking. Each designed to proceed the other in some sort of tangential connection that only the Coens are sure of. The short stories feel like items or fragments that the Coens have been collecting over their thirty-five-year career, wanting to tell these stories, but not knowing how to do so. This chance from Netflix gave them their forum. 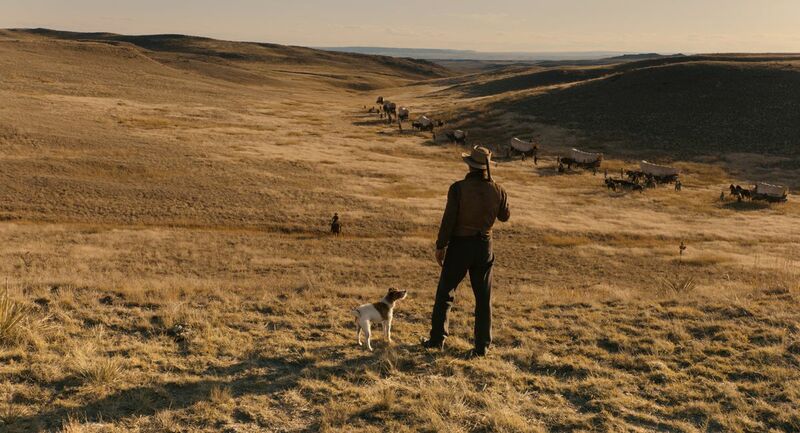 Many will point to the most Coen-esque entries like The Ballad of Buster Scruggs, Near Algodones, or All Gold Canyon as the best of the entries. The Coens’ style is in full effect in these short films and are some of the sharpest visual micro-set pieces the duo have done in recent memory. Their keen oddball aerobic wit for dialogue is on full display in The Girl Who Rattled and The Mortal Remains. Those installments are more like one-act plays displaying the verbal complex wit of which the Coens are capable. Many will rest on Meal Ticket. One should not, though. It accounts for some of the best work that the Coens have done in the last decade. It is because of how different Meal Ticketis from normal Coen storytelling that makes it so viscerally good. Most of the Coens’ work is tinged with a streak of sarcasm. In Meal Ticket there is no sarcasm. Only bare honesty that will shock many and be rejected by their most ardent acolytes. Make no mistake, Meal Ticket and its story of an impresario and his legless, armless performer is searing and honest in a way that is almost too much to take. The simple direct manner in which this plays out is shocking in the way that early Coen work is. What they say about humanity in this 10-minute segment is as sharp and lacerating as anything out of No Country for Old Men and A Serious Man. Meal Ticket masks that criticism of humanity in the artist and producer relationship allowing for it to be as brutal as it is devastating. Ultimately The Ballad of Buster Scruggs is a reminder that the Coen Brothers are the very best of American auteurs. One wishes they would leave their non-narrative, narrative films of late (see A Serious Man, Inside Llywen Davis, and Hail Caesar!) to pursue something more ornately narrative and less amorphous. One has a feeling that the Coens, who often zig when many expect them to zag, may do so. One can hope as Buster Scruggs is another affirmation of their stature even if the product feels slight.